Year 6 have been very busy making Easter cards today (Friday). They have used water colours in the making of their cards. 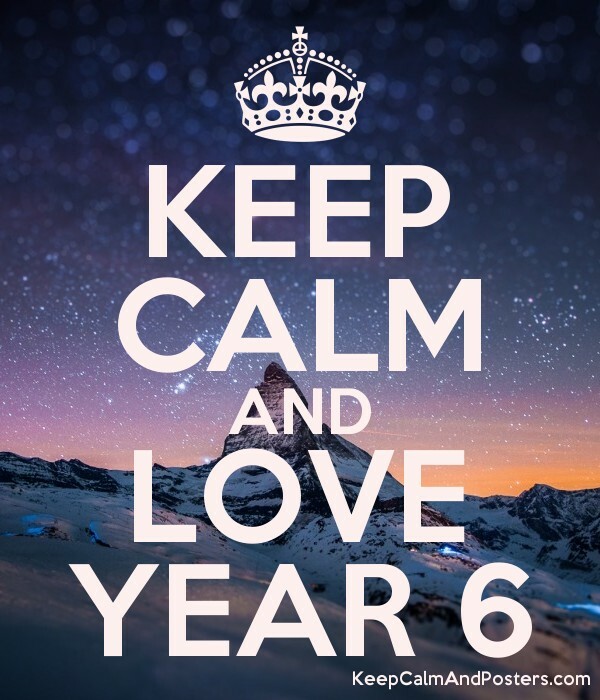 We would like all of our lovely Year 6 students to have a lovely, relaxing break over the Easter period. This week has been all about clothing during Shang Dynasty. They have had to research clothing and what materials they used during this period of time. They have then written a piece of work about the clothing and how silk is made. Year 6 have been very busy in P.E, they have been using all their skills they have learnt this term in P.E (Football) to play a match. They have had to use these skills within their match they played to be able to pass the ball and control the ball whilst running. In science this week, Year 6 have been making and designing their own experiments on preserving food. They have started this experiment and will record their results today and again after the half term. This week we had our Easter Fair, where our lovely Year 6 children helped to run the stalls. We raised just over £500 which is incredible, and we'd like to say a huge thank you to all our families who came and supported our school. We are going to use the money to buy more benches for our courtyard, so more of our children can enjoy sitting outside to eat their lunch. The children have been learning new notes on their trumpets and have been practicing the new piece of music they have learnt. They have also been learning the difference between a flat and sharp note. On Wednesday we invited our family members in to join us for lunch. The children have been practicing very hard this week on different SAT's questions and how to answer those tricky 3 mark questions. They have also been recapping questions they may have been unsure on. The children are growing in confidence when answering the different style of questions. Some of our lovely Year 6 staff have visited the children's different secondary school, in helping organize their four day transition week. They have returned to school with some useful answers to the questions the children wanted to know, such as, How much homework will we have? What will happen if we don't hand it in on time? Do you get rewards and yellow cards? The children have been learning a new song in Trumpets this week. They have been using the different notes they have learnt over the past terms within the song. In P.E this week, the children have been learning different skills in their football lesson. They have been learning different skills to control the ball. They have also been learning how to header the ball. This week in Jigsaw, the children had to create a presentation on the affects of alcohol on the body. They had to answer, how do you know if alcohol is being used responsibly, anti-socially or being misused?, and they had to watch a video and record their findings on the effects of alcohol. Year 6, had the opportunity this week to go to Pizza Express. They learnt about the history of Pizza Express, and then they learnt how to make their margarita pizza, which was then cooked for them to enjoy. If they did not finish then they got to take the rest of the pizza home. Year 6 had a lovely time and would like to say a huge thank you to the lovely staff at Pizza Express. Year 6 were given the opportunity and responsibility to create and design their own World Book Day themed activity. They then had to gather the resources they needed, and worked in small groups to deliver their activity to Key Stage One children. KS1 staff gave amazing feedback on how their activities went, using words like, organised, confident, helpful, and so on. Year 6 have learnt a new game in their P.E session called Shark Attack. They have also learnt how to control the football whilst running with it. The children have been very busy doing practice SAT's papers. We have then marked these and gone through the questions in detail. We will be looking at more of these over the up and coming weeks. The children have found this extremely useful, as they are able to unpick questions they find challenging. They have also noticed a huge improvement in their scores, which is amazing. Year 6 have been looking at classification of animals, and learning about vertebrate and invertebrate. This week in French, the children have been designing and creating their own french menus. They have also included their art into our French lesson, by adding cherry blossom to their design of their menu. This week in art, they have been creating their own cherry blossom art on lanterns. Year 6 have started to look at the Easter story and why Christians celebrate Easter. They have also started to look at how Easter is celebrated throughout Europe. Year 6 have started to look at Shang Dynasty, they have began their research and have found lots of interesting facts. Some children have also produced amazing art work and have drawn Shang. Year 6 have had a fantastic first week back, and have had lots of fun in their P.E session. They have been practicing their gymnastic skills using the vault. They have also been practicing their forward rolls, walkovers, bench squats and front flips. We had a fantastic day at Ashton Gate today, the children had a full day at the stadium looking at journalism. While at the stadium the children had a tour with a behind the scenes look at the press room, changing rooms, pitch side and players bar. The children met and interviewed Ian Reeds-Downs who is the sports commentator at Ashton Gate. The children create questions and took on the role of journalists. After lunch the children had a journalism workshop which involved writing a report on the previous nights football match against QPR. They took on the role of a journalist, camera operator and manager and were filmed presenting their report. Today the children entered the IntoUniversity site where there had been a crime committed. The children's task was to assess the scene of the crime and read the crime report. They then interviewed each suspect, using their open ended questions and the 5 W's. Though out, they needed to take notes ready to decide who they thought had committed the crime. The children then wrote a newspaper report, thinking about a punchy head line and balanced report. Today the children visited the IntoUniversity site where they had an introduction to journalism. The children took part in a range of carousels, Head for Headlines, Keep it Short, Radio Broadcasting and Balanced Arguments. During the afternoon the children had a secret mission to research different journalists and report what they found. These facts will help them to create a poster which will be presented at Bath University later in the week. This week the children have been finding different charities, they have then chosen a charity and researched about it. They worked within their teams to create a presentation about their chosen charity and then shared this with the class. The class had to then vote for the charity they would like to fund raise for. This years chosen charity is, Sepsis. Year 6 had to individually create a poster on how to stay safe online. They used their own knowledge on how to stay safe, as well as research they had found. This week the children have created their own experiments on dissolving. They have had to write up their experiment, what they need, their results and conclusion. The children have been very busy working with a partner to design and create their sundials. They have had to work together to discuss their ideas and their design, and then use these to create their final project. This week in badminton, the children have had to work together to keep rallies going, whilst remembering the rules of serving using back hand. During break and lunchtimes year 6 have been able to go and play safely in the snow. They even managed to make some snowmen before it began to melt! In trumpets the children have been learning a piece of music called 'Lightly Row' and its beginning to sound amazing! Year 6 have been investigating different substances to see which ones were soluble and insoluble. They recorded their investigation and their findings. This term the children are learning how to play badminton. This week they have been learning how to serve the correct way, they have also had a match against each other. The children have been learning the key aspects of a newspaper article. They have then used their findings to write their own newspaper articles. They have also been busy writing eye witness accounts. Today we watched the amazing pantomime of Jack and the Beanstalk. Year 6 really enjoyed this and found it especially funny when some of our lovely staff got up on stage and danced to 'Baby Shark'. We would like to say a huge thank you to the fantastic M and M Productions. This week in science the children have learnt about the water cycle and then went on to create their own experiment on evaporation. Year 6 have been learning about time and how people told the time before clocks were invented. They have learnt all about Sundials this week, and have found some amazing facts. They have used this information to create a fantastic piece of writing. Year 6 have been on a school trip this week. They went to Bristol to take part in Life Skills. This is an amazing experience for the children to learn what to do in certain situations. They all had the opportunity to ring an emergency service and answer questions as if they were in a real life situation. We have been revising long division and BODMAS this week. The children have also completed an arithmetic paper, we have self marked these papers and then revised methods used to help us gain more marks in the future. Year six have learnt about Buddhism holiday/festival, Vesak. They have then produced a letter to a friend as if they were celebrating Vesak. They had to explain what Vesak is and what happens during the festival. Our new topic this term is 'same moment around the world', This week the children have been researching and learning about the history of time. They have been researching how people told the time before clocks were invented and have had to make their own timeline to record their findings. We have also started our new class book, Clockwork or All Wound Up by Phillip Pullman. This week the children have started a new sport in P.E and this term they will be learning new skills and playing Badminton. They have started by practising how to hit a shuttlecock and the technique used. We would like to wish all of our Year 6 team and their families a Merry Christmas and a Happy New Year! We have been very busy this week perfecting our performance to show our families on Tuesday and Wednesday, and I'm sure you'd all agree that it was fantastic. We are really proud of all the children. Year 6 have been extremely busy in Gymnastics and have been using all of our new equipment. We have been getting into the Christmas spirit and have been working with different year groups to make Christmas craft. There was a lot of dancing and even some break dancing at our Christmas party! The children have been getting into the festive spirit in Trumpets this week and have been learning the music for Jingle Bells. They are really enjoying learning the right notes for this piece of music. In Science the children took part in an experiment. They learnt all about different types of beaks and how they have had to change and adapt throughout time. The children used different equipment to pick different items up. This week the children have had the opportunity to use our new vault we have brought with the money our amazing children and families raised. They have had lots of fun and can now learn new skills in gymnastics. They have also learnt all about Drugs and the effect these have our the human body. The children learnt which drugs are illegal and legal. They then learnt new team building games in Basketball. Year 6 have learnt all about the Battle of Bosworth and how Henry VIII defeated the rival Richard III. Our children have been extremely busy learning all the new songs for the Christmas performance. They are sounding amazing! The children have been looking at symmetry this week in maths. They have created their own snowflakes making sure there is a line of symmetry. Our design and technology this term has been creating Tudor houses inspired by Marcus Oakley! Year 6 have worked together in small groups to design and create their finishing project. We have displayed these in the entrance of our school for all our parents and visitors to see. Look at how amazing they all look! Year 6 have been practising the songs for the Christmas performance as they have been chosen to be the choir. They are sounding great and we can't wait for you all to join us and watch the performance. This week we have been focusing on creating our own conversations. The children have had to focus on the correct French spellings and pronunciation. They have created a piece of work where they have had to write the correct question followed by the answer. They then practised these with a study buddy. We have also started to learn a meet and great song in French,. Our Christmas hoop is now finished, and extremely glittery this year! Our Christmas hoops are displayed in the conservatory and all look fantastic! This week the children have been learning about the affects that alcohol and smoking have on the human body, and how this affects sport. The children came up with some amazing answers and questions within the session. Year 6 have been looking at quadrilaterals this week and their properties. They have been investigating angles in a quadrilateral and explaining their reasons for their findings. This week in gymnastics the children have been very busy trying to master a back flip. Year 6 are really enjoying gymnastics and making good use of our new crash mat. On Tuesday, year 6 took part in a morning full of shapes. They created a picture using cubes inspired by the famous artist MC Escher. They also created a 3D kite design. This week the children have been working in groups to create their own raps about Henry VIII and his wives. They have also performed these to the class and were very entertaining. The children have been extremely busy investigating triangles and their angles. They have had to recap on the different types of triangles and come up with an explanation of why and how they found their answers. Using this information they then had to work out their angles and why all the angles in an equilateral triangle must be 60 degrees. Here are some of our amazing Tudor houses our fantastic Year 6's have made. Here are some photos of Year 6 making their Christmas hoop! Year 6 have been very busy learning lots of greetings in french this week. Each week the children are becoming more confident in using french vocabulary. They had snap cards this week, where they had to match the correct french word or phrase with the correct picture. Year 6 have participated in a lot of different sports this week, this has included circuits, gymnastics and basketball. Everyone has shown great sportsmanship and have worked great as a team. In gymnastics the children used a springboard to straddle jump on and off of the blue vault. They have also learnt different passes they could use within a match in basketball. Within these lessons the children also learnt all about positive feedback. This week Year 6 had to create single triangles within teams. They then had to join another team and join their triangles together. They carried on doing this until the whole classes triangles were constructed together to create a tetrahedron. Year 6 had a lot of fun construction the tetrahedron and worked really well as a team. The children have been putting the finishing touches to their Tudor houses, and they are looking amazing! This week the children have been very busy learning all about the Tudors. They have learnt about the rich and poor in Tudor times. They have also created their own Tudor houses and made pottage and bread. They all really enjoyed making the pottage and bread however were not very keen on tasting it. On Thursday, Emily from dogs trust came to our school to talk to the children about how to stay safe around dogs. The children had lots of amazing questions and had great empathy. They were given different scenarios and had to answer with what they would want to do and then what they really should do instead. They also had to order a group of dogs into categories of most approachable and least approachable. Emily spoke about how it was a matter of opinion and how you should always ask the owner to stroke their dog. Year 6 have learnt about the war and the conditions the soldiers lived and fought in. They have wrote their own war poems, a letter as if they were a soldier and created poppies for our display. They have also been creating their own projects on the Tudors, after choosing a topic randomly from the box. They were randomly put into groups and left to research and make a poster, that they then had to present to the class. Year 5 and 6 have had an amazing time at ice skating! There was lots of laughter and a lot of falling over. Our fantastic children also decided to help other children from another school, and push them around on the seals. Following our harvest assembly, parents were invited to come and take part in activities with their children. On Monday our local community PCSO came into the school and spoke to the children about bonfire night and how to stay safe. They explained the law and rules to the children so they are aware how to stay safe on bonfire night. On Tuesday the children took part in restart a heart day, where they learnt how to perform CPR. This improved their confidence if ever they needed to help someone in need. They were also taught who to phone and what to say. The children completed their sponsored run on Wednesday. They were amazing and completed 20 laps during their normal P.E session. Well done Year 6! This week in English the children have been writing some outstanding speeches about Women's rights and the Suffragettes. The children also read their speeches to the class. They have blown the Year 6 team away with how incredible they were. In science the children have been learning about and investigating circuits. They looked at how they could make their light brighter and dimmer and what they would need to change in their circuit to make this happen. They then wrote about their findings. The Year 6 team have been working extremely hard on their attendance and making sure they are in school on time. We are so happy to announce that Year 6 have achieved 100% attendance for the second week running! This week in English our inspirational person has been Martin Luther King. The children have been learning all about Martin Luther King and his speech. The children then went on to create, write and edit their own speeches, which were fantastic. This week in French the children recapped colours and their pronunciation, they then went on to make dominoes with the French and English spellings of the colours to take home and challenge their parents/carers. They then went on to learn new greetings in French and we had lots of fun trying to pronounce all the different greetings. This week in P.E with Bex the children have been playing a game called Jail break, where they have to work in teams to gather the balls. Bex was extremely happy with Year 6 and their enthusiasm. Year 6 also won the TREDS award for the second week running! The children have had a great trumpet lesson this week, and they are sounding amazing. This week the children learnt the note D and are really trying hard to perfect this. So far the children have learnt the notes C, E and D.
This week the children have been very busy in English, they have been creating their own poems inspired by Shakespeare's sonnet. They have also been learning a Shakespeare play in Drama and have performed this to the class. In Science the children have taken part in an experiment about creating shadows. They then recorded their result and their experiment, and created a graph using the results they had found. This week in Art the children looked at the inspirational artist, Picasso. They looked at cubism and found out important facts about him. They then created their own drawings inspired by Picasso's art. This week the children took part in a MoneySense workshop, which is linked to Natwest Bank. During the morning the children took part in various activities, learning about money management, money safety and money in the world. The children thoroughly enjoyed planning a party, budgeting and getting value for money. The children learnt about inspirational artist, Kandinsky. They then produced their own art work in the style of Kandinsky. In English this week the children have learnt about Louis Braille, who published the first braille book. Learning about his life and why he invented braille. This week we have been learning about the famous, inspirational author Roald Dahl. The children have been finding out about his school days and his career as a fighter pilot in the RAF. They have written a letter from Roald to his wife, thinking about the what he might of said and felt. In addition to this, they have written a school report on Roald Dahl, linking what they know about him and his experiences. The children had an interesting french lesson this week, where they recapped colours, working on pronunciation. This week the children had their first trumpet lesson! During the lesson the children warmed up by tapping, stamping and patting beats on their body. They learnt about the names of musical notes, one beat- Crotchet, two beats- Minim and half beats are called a Quaver. They then went on and talked about their breathing and how to make a sound with the mouth piece (Make a 't' sound and buzzing sound) Once the children had attempted a sound with the mouth piece it was time to learn about the trumpet, how to hold it and the parts of the instruments. The children then blew through their trumpets and most made a sound. What a lot of learning in one lesson! This week the children have been looking at the book 'Windows', written by Jeannie Baker. They have been focusing on the images of the characters. What might be being said, thought or observed? While doing this the children also thought about feelings and observations. The children worked in groups to compare and contrast the first and last images of the book, highlighting different viewpoints. During P.E today the children were introduced to the game 'Hand Ball', during the session the children worked in teams, focusing on the types of throw they might use to knock the balls off the cones. They talked about using underarm passes, overarm passes, chest passes and overhead passes, thinking about the benefits of each pass. We have had a fantastic, first week in year 6, the children have been thinking about their aspirations, they have written about them and shared them. We have been getting to know each other as a team, the new routines and expectations ready for our amazing year ahead.